New results released by WWF to mark World Ranger Day, reveal that one in seven wildlife rangers (14 percent) surveyed across Asia and Central Africa have been seriously injured at work within the last 12 months. July 31, 2018: New results released by WWF to mark World Ranger Day, reveal that one in seven wildlife rangers (14 percent) surveyed across Asia and Central Africa have been seriously injured at work within the last 12 months. The results, part of the largest ever survey on ranger employment conditions and welfare, come as the official death toll from July 2017-18 has been confirmed by the International Ranger Federation (IRF) & Thin Green Line Foundation (TGLF) as 107 – up from 101 last year. This brings the total number of reported rangers who have lost their lives in the line of duty to 871* since 2009, which is when IRF and TGLF, started to officially record the incidents. However, experts believe the actual number of deaths to be much higher than the reported number. “The stats this year, forty-eight rangers of the 107 lost this year were murdered at their place of work whilst protecting wildlife that we all care about. Another 50 died in work place accidents due to the dangerous nature of a rangers life. But these are not just statistics, these are men and women, rangers, who leave families behind, often with little support except for what we can provide. As a world community we need to do more and we have to do better in training and equipping rangers so that they have a greater chance of returning home to their families after a patrol,” said Sean Willmore, President of the IRF and Founder of its charity arm, TGLF. WWF’s survey, which will be published later this year, has been completed by rangers working in Asia and Central Africa. WWF is also currently conducting the survey in East Africa. These regions are renowned as the most dangerous for the profession due to high levels of poaching to feed the demand for illegal wildlife trade products, largely coming from China and neighbouring countries. “World over we’re facing a rapid decline in nature including some of our most beloved species. Rangers are on the front line of protecting much of this iconic wildlife and due to the very nature of their job, it comes as little or no surprise that they risk facing life-threatening situations. What is shocking is that despite their willingness to bear these grave risks to help save our shared wildlife, few are receiving fair pay, insurance and adequate training,” said Rohit Singh WWF’s Zero Poaching Lead & President Ranger Federation of Asia. An overwhelming majority (86 per cent) of rangers think their job is dangerous due to the grave risks associated with encountering or confronting poachers. Recent tragic incidents show that these concerns are not unfounded. This year saw the murder of, Rachel Katumwa, the first female ranger thought to be killed whilst on duty in Virunga National Park in the Democratic Republic of Congo. Just a month prior to Rachel’s murder in the same area, suspected members of an armed militia group that were involved in poaching activity gunned down five wildlife rangers and their driver. It was the worst attack in Virunga’s history and the latest in a long line of tragic incidents in which rangers have lost their lives defending the planet’s natural heritage. Despite high risks from armed poachers, dangerous encounters with wildlife and exposure to infectious diseases like malaria, only 15 per cent of the rangers surveyed had been trained in first aid within the last year and almost six out of ten (58 per cent) felt that when most in need of medical treatment, the services they received were not sufficient. “Nothing can compensate those that have sacrificed their lives and livelihoods to protect our wildlife but we hope that by bringing to light these challenges, urgent steps will be taken to address them and in turn improve the lives and working conditions of rangers and their families,” comments Drew McVey, East Africa Wildlife Crime Technical Advisor, WWF. WWF is calling upon governments to urgently review and improve shortcomings that are endangering the lives of wildlife rangers. 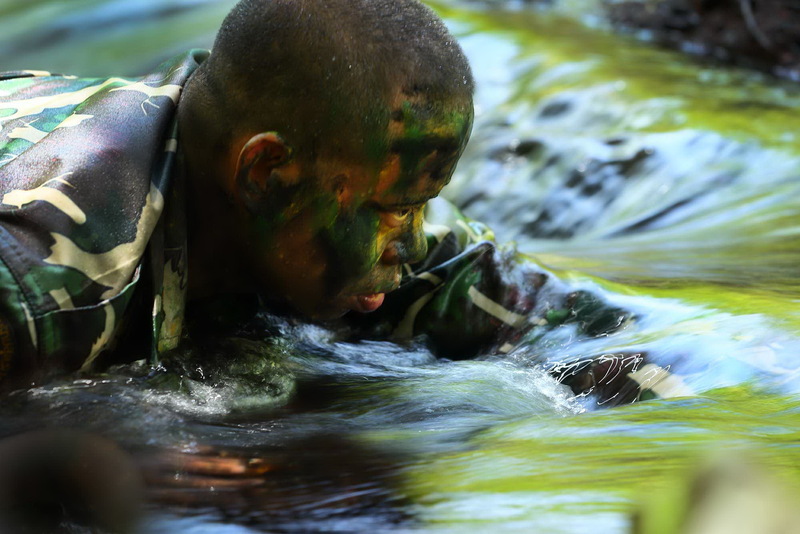 Adequate training – including widely adopted first aid training for rangers - strong emergency medical treatment plans, as well as equipment and communications devices appropriate for field conditions should be among the matters most urgently needing a review. Additionally, 100% insurance coverage for serious injuries and loss of life is a critical next step for rangers and their families. At the upcoming London Conference on Illegal Wildlife Trade, taking place in October this year, we must see commitments from world leaders in countries where wildlife poaching occurs to ensure they have adequate numbers of properly equipped, trained and insured rangers. WWF hopes to work closely with these governments and other concerned partners to ensure rangers are recognized and supported with the respect as other public service professions putting their lives on the line to work towards providing us all with a better world. Manzoor Ahmad along with another wildlife official, Constable Mushtaq from the special squad in Gujranwala region, Punjab Wildlife and Parks Department, was shot dead by poachers involved in illegal hunting of migratory birds in Sialkot on 20 September 2017. Manzoor is survived by an elderly mother, a wife and seven children. and because of their efforts, Pakistan boasts of majestic landscapes, and iconic biodiversity some of which are unique to the country. Rangers have to endure dangerous work conditions. © WWF-Thailand / Baramee Temboonkiat.